The Gerber 12-780 is a durable porcelain china bathroom sink designed specifically for under-mount/under-counter installation. 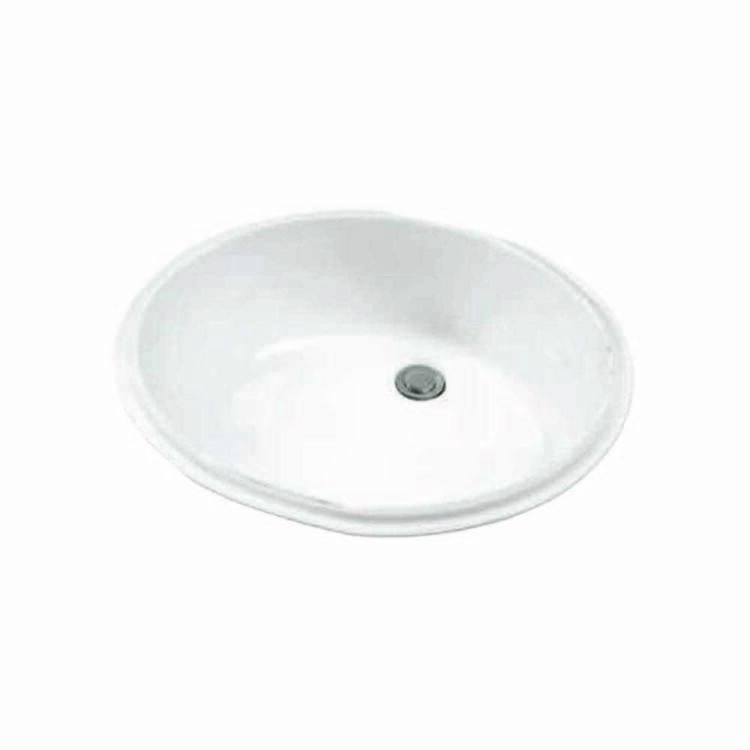 Featuring a deep sloping basin and a concealed front overflow this lavatory sink is ideal for quick and simple drainage and cleaning. 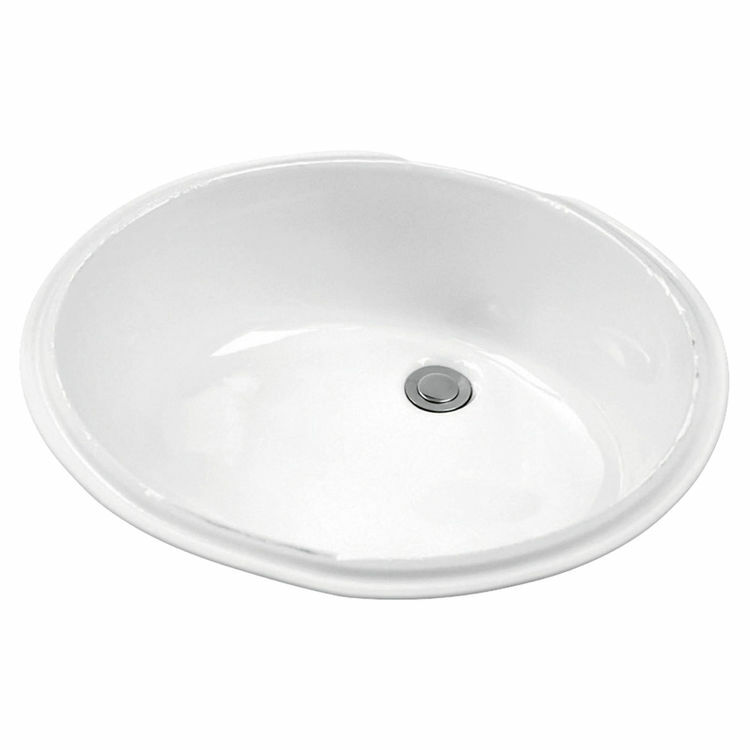 The 12-780 is a simple yet elegant white oval sink that is sure to compliment any style bathroom. It measures 19"x 15" and has a rear-oriented drain hole. Complete with a Limited lifetime warranty, this sink is ADA compliant and requires an anchoring kit (Gerber #99-190 Not Included) for installation. Note: when installing this sink basin under marble slab, sealing compounds containing oil should never be used. Shipping Dimensions 19.0" x 15.0" x 8.0"
Shipping Dimensional Weight 12.93 lbs. Outer Dimensions: 19 1/8" x 15"
Inner Dimensions: 17 1/8" x 13 1/4"